The iPad savings for Rogers-O’Brien Construction aren't just money; there's also less frustration. Building construction is an immensely complex process. The firm Rogers-O’Brien uses hundreds of iPads to simplify it, while saving 55,000 hours of employee time and $1.8 million annually. All the paperwork involved is stored in the cloud where it can be accessed at any time. This means someone in the office can make a change and the people in the field can immediately see the updated document. “Everyone on the operations staff gets an iPad,” Rogers-O’Brien’s director of applied technology Todd Wynne told Business Insider. That’s 190 people. 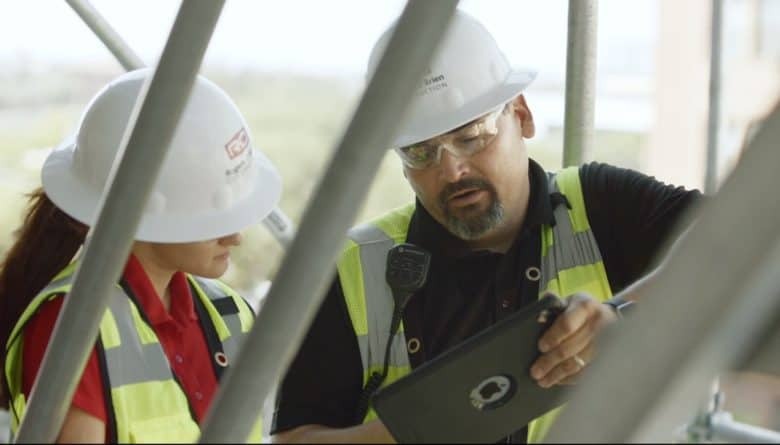 The firm chose iPads with built-in LTE because they have longer battery lives and cost less than ruggedized Windows tablets. Before switching to iPads, all the documents were printed out, then printed out again whenever there were changes. The move to tablets saved the company about $10,000 for each construction project in printing costs alone. Employees working from outdated plans build things wrong. With the entire operations staff always having current documents on their iPads, foulups don’t have to be torn out and rebuilt. This saves Rogers-O’Brien about 7 percent of the cost of all its projects. “I no longer have to worry about two different contractors working off of two different sets of drawings,” said Kevin Mulligan, a construction superintendent with Rogers-O’Brien. Under the old system, ensuring that an important document was the most recent required a trip to an on-site construction trailer. The company estimates it’s saved 55,000 hours from eliminating the need for such trips.